2016 SMA Best Paper in Innovative Teaching/Management Education Track. 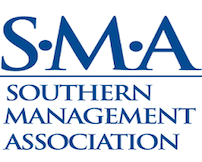 This award, sponsored by PMI, was presented to Andrew Loignon, David J. Woehr, Jane Shumski Thomas, Misty Loughry, Matthew W. Ohland, and Daniel Ferguson for their paper “Facilitating Peer Evaluation in Team Contexts: The Impact of Frame-of-Reference Rater Training” presented at the Southern Management Association Conference in Charlette, NC, October 25-29, 2016. 2013 Maryellen Weimer Scholarly Work on Teaching and Learning Award. This award, sponsored by MagnaPublications, recognizes outstanding scholarly contributions with the potential to advance college-level teaching and learning practices. Articles published in any pedagogical journal from any discipline or higher education journal may be considered for the award. The 2013 award was presented to Matthew W. Ohland, Misty L. Loughry, David J. Woehr, Lisa G. Bullard, Richard M. Felder, Cynthia J. Finelli, Richard A. Layton, Hal R. Pomeranz, and Douglas G. Schmucker for “The Comprehensive Assessment of Team Member Effectiveness: Development of a Behaviorally Anchored Rating Scale for Self and Peer Evaluation,” published in December 2012 in Academy of Management Learning & Education (volume 11, pages 609-630). It was awarded during The Teaching Professor Conference in New Orleans, May 31–June 2, 2013. 2011 MED Best Symposium in Management Education and Development Award. This award is sponsored by McGraw Hill/Irwin for the symposium that offers the most significant contribution to advance management education and development. This was awarded for the symposium Team-Based Learning and Peer Evaluation in Management Education: Issues, Challenges, and Solutions by the Management Education and Development division at the Annual Meeting of the Academy of Management in Antonio, TX, August 12 – 16, 2011. Awardees were: Misty L. Loughry, Matthew W. Ohland, David J. Woehr, Eric Lamm, Antoaneta Petkova, Timothy M. Madden, and Mark E. Collins. 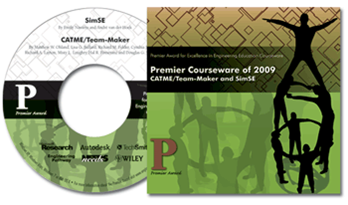 2009 Premier Award for Engineering Education Courseware. This is an international award for non-commercial courseware that enhances engineering education. 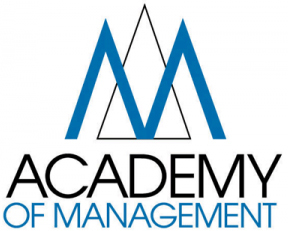 It was awarded by NEEDS & Engineering Pathway to the development team of the Comprehensive Assessment of Team Member Effectiveness (CATME) and Team-Maker software products that support the use of teamwork in college classes. The award was presented at the 2009 Frontiers in Education Conference in San Antonio, TX, October 18 – 21, 2009. Awardees were Matthew W. Ohland, Lisa G. Bullard, Richard M. Felder, Cynthia J. Finelli, Richard A. Layton, Misty L. Loughry, Hal R. Pomeranz, and Douglas G. Schmucker. The nomination package and award letter are available.